Outstanding service starts with an outstanding team. 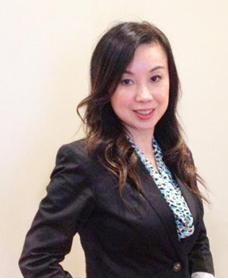 Meet the professionals behind Jessica Liu Insurance Services. Mom, Hiker, and Insurance Agent! 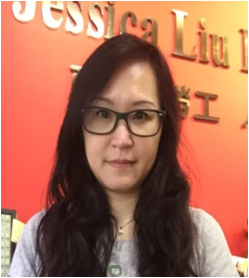 Jessica is the president of Jessica Liu Insurance Services, Inc. Jessica started her insurance career in 1991 and formed Jessica Liu Insurance Services in 1996. Jessica is a licensed Property, Casualty, Life, Health and Disability Agent. Jessica is also a member of the Society of Certified Insurance Counselors (CIC). Jessica loves traveling, hiking, listening to music, and hanging out with family and friends. She also loves football and has been a 49ers fan for number of years. Mechanical Engineer, Agency Principal, and Insurance Agent! Principal of JLIS agency with more than 15 years of experience in property, casualty, health and life insurance. Mr. Szetu specializes in insurance products for the construction, technology, engineering and consulting area. 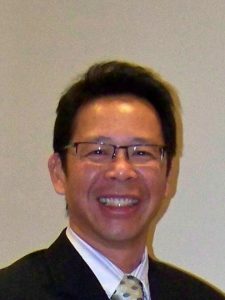 Prior to joining the agency, he obtained his Bachelor of Science degree in Mechanical Engineering and subsequently worked as a senior engineering risk and reliability analyst and consultant in the commercial power generation industry. His background in assessing risk exposures is well suited for him to assess risk exposures and their mitigation on individuals and small businesses. Business Development Advocate, Account manager, and Insurance Agent! Sweedy Chut is the account manager for our Commercial Insurance Business. 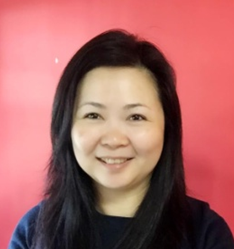 Prior to joining our agency in 2005, Sweedy has worked in the areas of accounting, business development and customer service for various companies in Hong Kong. As account manager, Sweedy is in charge of sales and management for commercial insurance products. She is very knowledgeable on business insurance products from companies we represent. With over ten years of experience in servicing and obtaining insurance products for small business owners, she has gained an understanding of the exposures that many small businesses face on a daily basis and thus is able to obtain the best policies for our customers. Account Manager, Customer Support Service, and Insurance Agent! 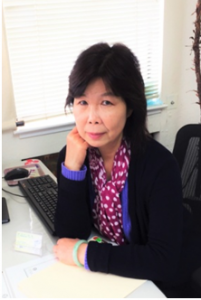 Xylia Huang is the account manager for our Personal Insurance Business. Prior to joining our agency in 2011, Xylia has worked in the areas of customer support and service for various companies in Guangzhou, China. As account manager, Xylia is in charge of sales and management for personal insurance products. She is very knowledgeable on insurance for individuals and families in the areas of auto, home, health and life insurance as well as the needs of individuals and families when it comes to protecting their health, left and assets as she has extensive experience in obtaining the best value for these protection through the insurance products. Sports Enthusiast, Music Lover, and Insurance Account Manager! After graduating college in 2012 with a degree in Physiological Sciences, Chris made the move into insurance and is now part of the Worker’s Compensation and Commercial Auto team. He has a strong desire to learn and absorb information and enjoys being challenged. Outside of work, Chris enjoys all varieties of sports ie. basketball, football, hockey, and track & field. In his off-time, he has spent his time as an assistant cross-country coach for a local high school. Music Lover, Pet Lover, and Insurance Agent! Annie has been serving clients in the insurance industry since 2013. Annie’s area of services ranges within the personal insurance needs. She’s completely fluent in Cantonese, Mandarin, and English. Aside from work life, she has two dogs, Ringo and Rupert. She has had them since 2008 and they are the loves of her life. Music is also a huge portion of her life. Her choice of music varies from English folk to Korean pop. She believes that a good balance of lifesytle brings happiness in life. Registered Tax Preparer, Insurance Producer and Agent! Shirley is a producer and agent of Jessica Liu Insurance Services, Inc. Prior to joining the agency, she worked as an administrative analyst specialized in project insurance compliance and construction contract administration in a municipal government agency. In addition to her insurance expertise, she also holds a California Tax Education Council (CTEC) license and an Internal Revenue Service (IRS) Annual Filing Season Program Record of Completion Certificate. She also provides payroll and accounting services to small businesses. Outside of work, Shirley enjoys ballet performances and gourmet foods, and has a love for gardening. Dog Lover, Fashionista and Insurance Agent! Emily is one of our newest employees to join JLIS. She works in our Personal Department as a CSR and Administrative Assistant. She has an Associate degree in Fashion Merchandising from CCSF and a Bachelors degree in Business Management from SF State. After college, Emily found her passion in insurance. As a licensed Property and Casualty agent, she enjoys helping others find the perfect policy tailored to their individual needs. She plans to expand her knowledge in the insurance industry to include commercial and health. Outside of work she enjoys shopping for good deals, trying different noodle shops, and hanging out with her two dogs (Chihuahua and Australian Cattle Dog). Music Lover, Food Lover, and Insurance Agent! 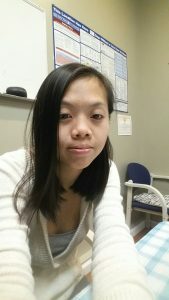 Annie is a CSR at Jessica Liu Insurance Services. She has a Bachelor’s degree in Finance from San Francisco State University. Prior to joining the agency, she volunteered to file taxes for low income families during the tax season for four consecutive years during college. She is patient and dedicated to serving our clients to get the appropriate coverage and also understand the type of policy they would need to indemnify themselves. She is eager to gain more knowledge in the insurance industry as everyday presents an opportunity to learn. Outside of work, she loves to spend time with her parents and friends, go on a food adventure, play games, and listen to music. Car Enthusiast, Certified Auto Technician, and Insurance Agent! 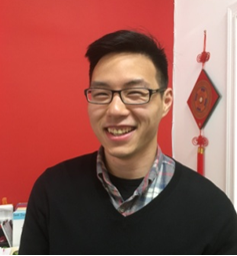 Derek is a CSR at Jessica Liu Insurance Services. He is a very friendly and outgoing person who enjoys talking to others and building relationships. He is always eager to learn and share ideas. Prior to joining the agency, he was in the restaurant industry working as an area manager with great management experience. During his free time, he likes to play basketball, cook, and go fishing. He also loves to spend time with his family, go sightseeing, and travel. Enthusiast, Optimist, and Insurance Agent! Many people have asked Vinna why she wanted to work in the insurance industry. She says the answer is simple; it gives her satisfaction and helps her realize her own life value. Everyone has a goal to fight for. In the process of your courage, insurance is your strong support assisting you to realize your dream. Therefore, for her, insurance is not only a tool or job, but also a friend for life. She strives to provide practical insurance plans for different customers and hope everyone will have a happy life. Music Enthusiast, Animal and Nature Lover, and Marketer! Smruthi established the marketing department of Jessica Liu Insurance Services and is currently heading the department while training marketing interns. She has been with JLIS since October 2015. She is a recent graduate from San Francisco State University with a Bachelor’s degree in marketing. In her free time, she loves to explore the city, try new foods and restaurants, and go to concerts and music festivals. She loves nature and the outdoors and tries to make time to go to a park, beach or on a hike every week. She’s very excited to excel in marketing and has joined multiple business and marketing organizations to help her reach her career goals.